I am really enjoying reading your comments on my giveaway entry post. Even if you don’t want to enter the prize you should take a minute to read about the love out there for home grown wool. It seems that there is a huge love affair with sheep’s wool and a real care to support local producers and rare breed wool. That makes me so pleased! 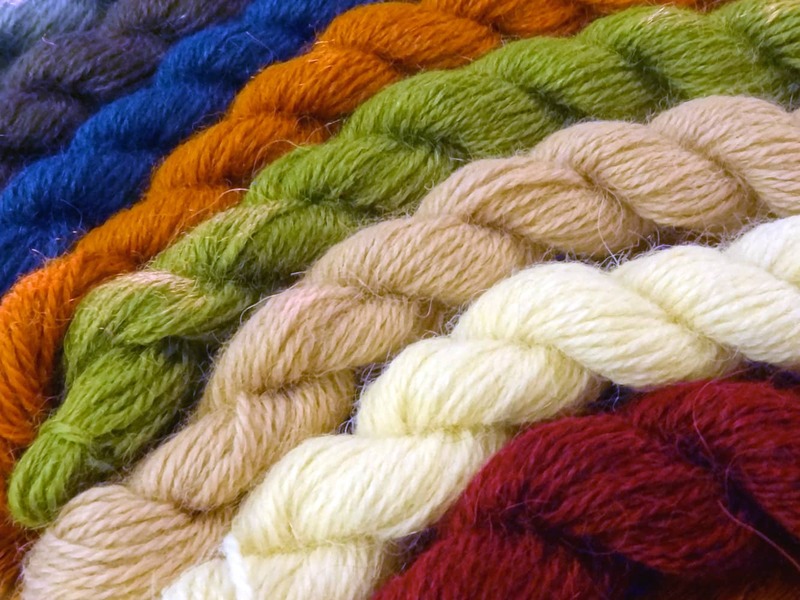 The whole point of writing this blog and knitting British is to share the joy of local fibre. Added to the stash is……..
Titus from Baa Ram Ewe caused a wonderful stir of excitement when it was launched in its natural shades last year. This year, when the dyed shades were launched I, for one, was near hysteria! Titus is a cloud-soft yarn made from 30% UK alpaca, 20% BFL & 50% Wensleydale -literally the cream of British fibres! The range is spun in Yorkshire and so is even more British! There is just over 250m here – plenty to practice your colour work. I think they’ll look beautiful in Tin Can Knits Fancy Baubles or For The Tree socks by CoopKnits. Also in the stash prize is 100g of John Arbon Alpaca Sock, so there is no excuse! If you haven’t already entered you are missing out on the chance to try out some lovely home grown (and spun!) fibre. I will further tease you in the weeks to come before the closing date on Dec 31st! If only someone would invent a screen that allows you to squish the yarn as well as see it!